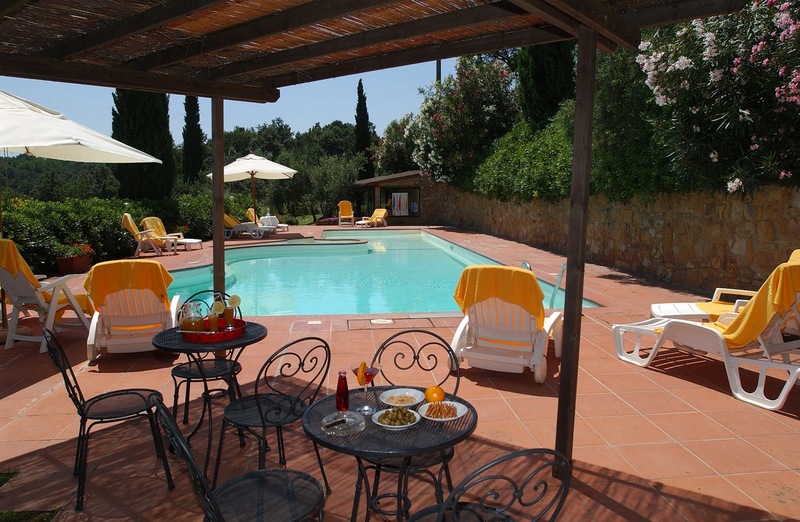 Holiday apartments located on the top of a hill in the surrounding area of Montaione dominating the surrounding countryside with its beautiful view of vineyards, olive groves, woods and the Apuanian Alps on clear days. 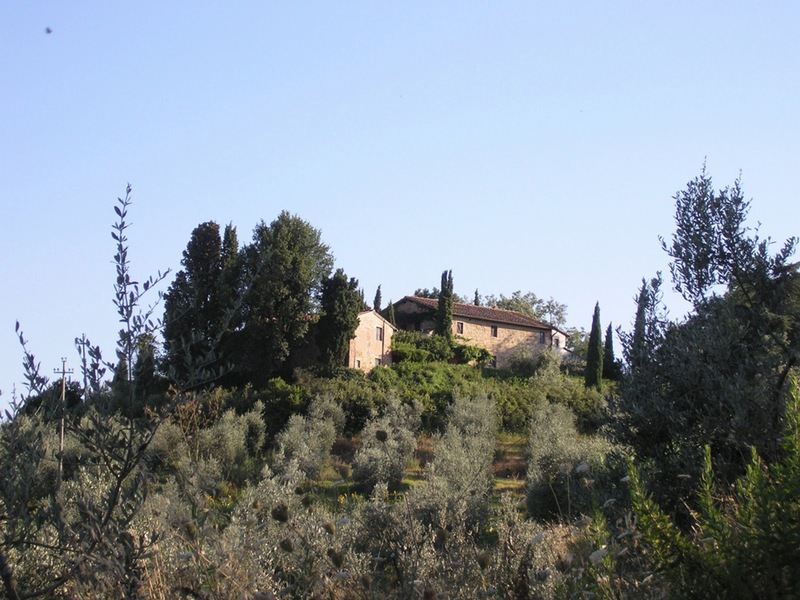 The complex, wisely restored by a well-known Florentine architect, is made up of an ancient farmhouse with a barn annexed to it and has 8 comfortable flats in all which have kept and enhanced their characteristic aspects of the original architecture. The outdoor areas are characterized by a beautiful natural lawn on various levels including the irregular-shaped pool (about 7 x 15, 1.20 – 3.00m deep)(15/05-15/09) with a children’s pool and play ground. 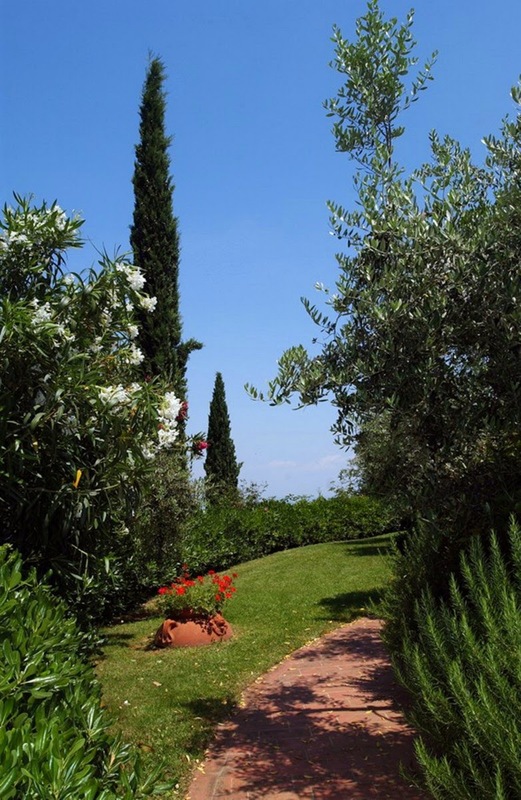 The flowered paths lead to a shady car park reaching the lanes which surround all the farm, amongst a game reserve, vineyards and the farming of the “cinta senese”, a prized breed of swine used for the production of hams and salamis which can be tasted at the restaurant on the same property. 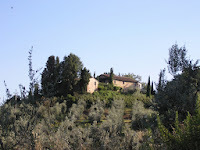 All the apartments have an outdoor, equipped area and are furnished in the Tuscan rustic style. Upon request and to be paid for on location: mid-weekly linen change, extra cleaning hours, baby bed, chef, cookery lessons. Central heating. Car park on the property. PLEASE NOTE: Pets are allowed upon request and against payment of€50 / pet / week. Check in from 4.00pm to 7.00pm. Double beds measure 160 x 190 cm while single beds measure 80 x 190cm. ACCOMMODATION: (70 m2, entrance from outdoor stairway): 1st Fl. : equipped terrace, living/dining room (satellite TV) and double sofa bed, kitchenette (oven, dishwasher and small electrical appliances), 1 double bedroom with bathroom with shower, 1 twin-bedded room with bathroom with shower. LOCATION: 900 m San Vivaldo (grocery shop), 6 km Montaione (all kinds of shops), 7 km golf course (18 holes), 18 km San Gimignano, 31 km Volterra, 56 km Florence, 63 km Pisa and Lucca, 67 km Siena, 70 km seaside (Tirrenia). ACCOMMODATION: (90 m2, garden for guests staying on the ground floor ): 1st Fl. : equipped terrace, living/dining room (satellite TV) and double sofa bed, kitchenette (oven, dishwasher and small electrical appliances) 2 double bedrooms both with bathroom with shower, 1 twin-bedded room with bathroom with shower. ACCOMMODATION: (95 m2): Gr.Fl. 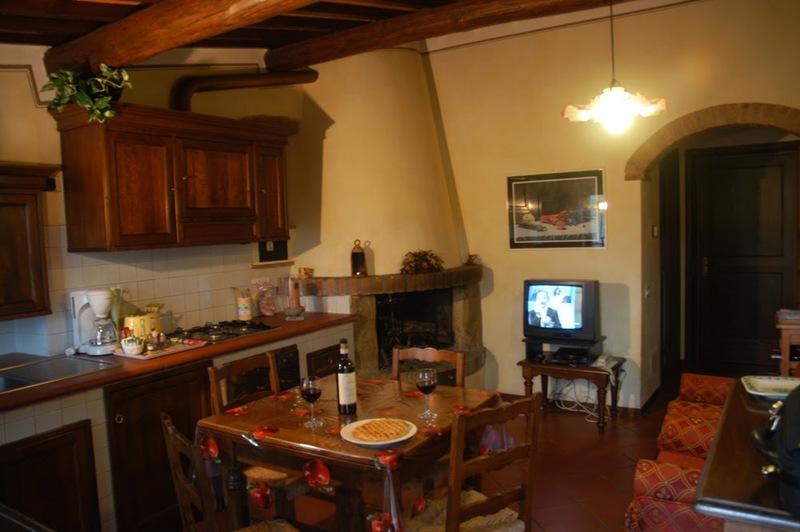 : terrace with equipped pergola, hall/living room with fireplace (satellite TV) and double sofa bed, kitchenette (oven, dishwasher and small electrical appliances), 1 double bedroom with bathroom with shower. 1st Fl. 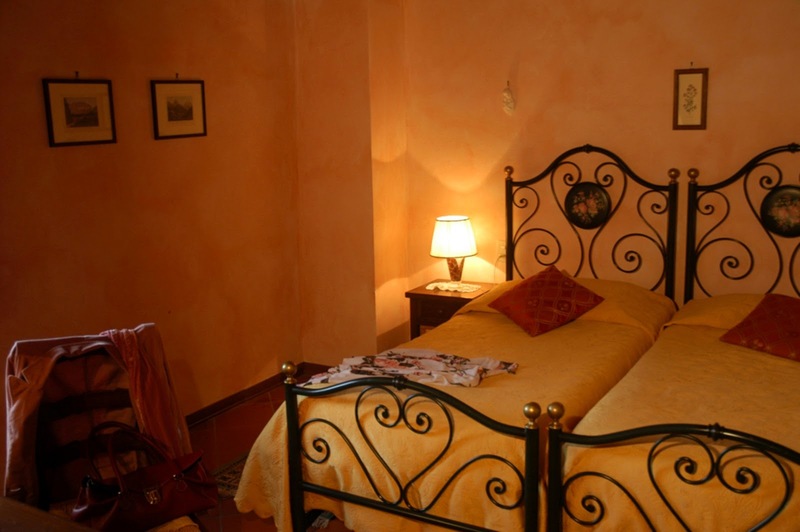 : 1 double bedroom with bathroom with shower, 1 twin-bedded room with bathroom with shower. 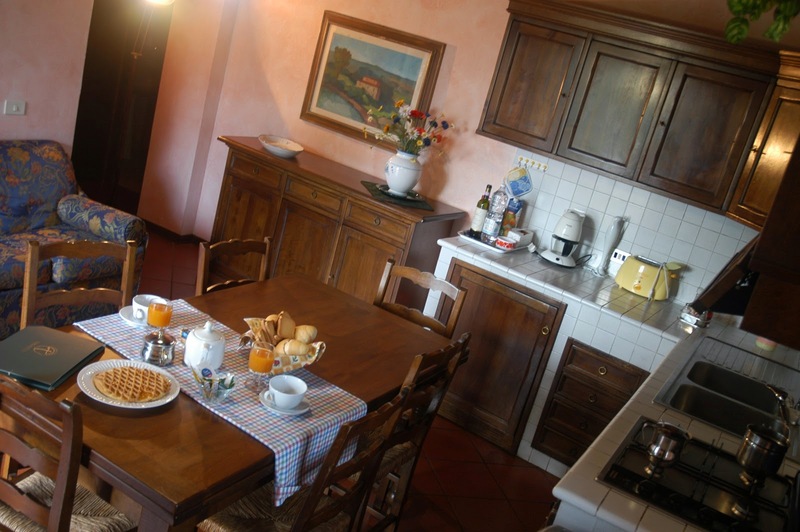 ACCOMMODATION: (80 m2): Equipped terrace, living/dining room with fireplace, kitchenette (oven, dishwasher and small electrical appliances) and armchair bed, 1 bedroom with twin beds, 1 bathroom with shower. 1st fl. : overhead sleeping area with double sofa bed, 1 double bedroom, 1 bathroom with shower. ACCOMMODATION: (70 m2): Gr.Fl. : terrace with equipped pergola, living/dining room (satellite TV) and double sofa bed, kitchenette (oven, dishwasher and small electrical appliances), 1 double bedroom with bathroom with shower, 1 twin-bedded room with bathroom with shower. ACCOMMODATION: (70 m2): Gr.Fl. : terrace with equipped pergola, living/dining room (satellite TV) and double sofa bed, kitchen corner (oven, dishwasher and small electrical appliances), 1 double bedroom with bathroom with shower, 1 twin-bedded room with bathroom with shower.